Earn $157.50 in Rewards credit. Click to learn more. 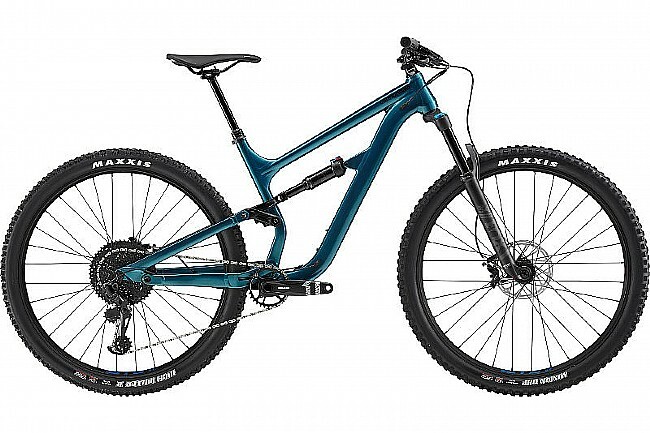 Cannondale's 2019 Habit 29 Alloy 4 Mtn Bike features progressive geometry, a Proportional Response suspension design with two piece alloy links that keep the suspension moving smoothly, and a Lockr thru-axle pivot system. Frame Material: SmartForm C1 Alloy, Proportional Response tuned, Ai offset drivetrain. 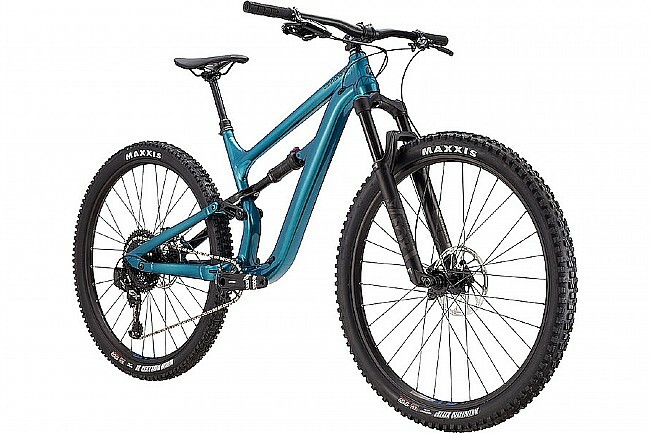 Fork: Fox Float Rhythm 34, 130mm, Grip Damper, Sweep-Adj, 15x110, tapered steerer. Headset: Integrated, 1-1/8 to 1.5", sealed angular contact bearings. Shifters: SRAM NX Eagle, 12-speed. Rear Derailleur: SRAM NX Eagle, 12-speed. Crankset: SRAM X1 Eagle, 30T. Cassette: SRAM PG-1230, NX Eagle, 11-50, 12-speed. Chain: SRAM NX Eagle, 12-speed. Brakeset: SRAM Guide T hydro disc, 180/180mm Centerline rotors. Handlebar: Cannondale C3 Riser, 6061 Alloy, 15mm rise, 8° sweep, 4° rise, 780mm. Stem: Cannondale C3, 3D Forged 6061 Alloy, 1-1/8", 31.8, 0°. Seatpost: TranzX dropper, internal routing, 31.6, 100mm (S), 125mm (M-XL). Wheelset: WTB ST i25 TCS 2.0, 32h, tubeless ready. Rims: WTB ST i25 TCS 2.0, 32h, tubeless ready. Spokes: Stainless Steel, 14g (Ai Offset dish - rear). Hubs: Formula front, Formula rear w/ HG driver. Axles: 15x110 front, 12x148 rear w/ HG driver. Tires: Maxxis Minion DHF 29 x 2.5" WT front, High Roller II 2.3" rear, Dual compound, EXO puncture protection, tubeless ready.